Prior to publication there had been little study of the political role of women. Gender had been seen only as a background variable in social surveys of political behaviour, and women had rarely been extensively or separately considered. Now, in essays specially written for this volume, first published in 1981, the authors map out the political behaviour of women in twenty ‘industrially developed’ countries, bringing together and analysing contemporary material on a variety of topics, such as voting, standing for public office, entering the political elite, and engaging in political activity outside the formal structures of government. In each chapter the history of women’s political activity is outlined, from the first movements for female suffrage and emancipation to the new political involvement occasioned by the women’s movements of the 1970s. The impact of differing political systems on the experience of women is considered, and some striking similarities and differences are pointed out. It has been generally agreed that women’s participation in politics has been less than that of men, although reasons postulated for this have varied widely. The essays in this book offer further suggestions in this area, while charting a steady increase in activity by women in all political spheres as feminism politicises issues previously restricted to private or male-dominated spheres and women become increasingly concerned to participate in the political process. 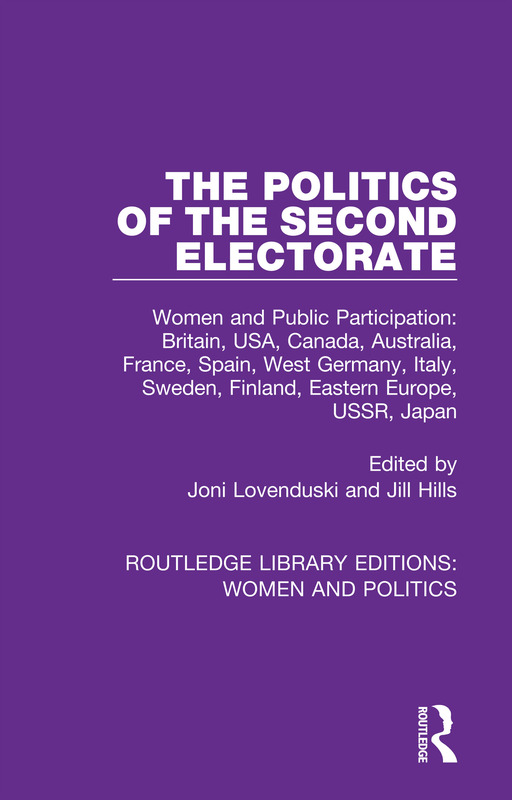 The authors indicate current trends and explode prevailing myths and the ‘second electorate’, and they suggest future possibilities, both for Political Woman and the Political Science which must take account of feminist political activity. Students of social and political science, readers seeking comprehensive, cross-national coverage of party and election data, and all interested women will find the book to be a mine of information and a rare and readable picture of half the world’s electorate.